The World Summit Youth Award (WSYA) is the world competition organized by the International Center for New Media (ICNM), the Austrian partner for mYouth: www.youthaward.org/content/contest. WSYA also makes the space as a competition for young social entrepreneurs, creative designers, who create digital content and applications which address the UN Sustainable Development Goals (SDGs). So, this is another open door for you! 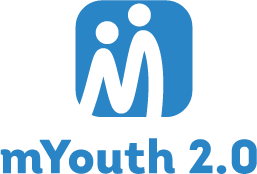 Once you are admitted in the mYouth project, once you go through your Local Mobile Camp in any of the 10 partner countries of this project, and after completing the mYouth Training in Macedonia – you can be endorsed to compete for the WSYA as a mYouth participant. Special winners’ event will also be hosted for the WSYA, where you can use the opportunity to compete and present your mobile app to a global team of juries, and amazing network of global change-makers! 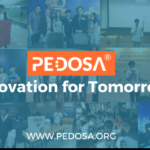 Four of the apps produced within the mYouth project succeeded among the category winners at the well-known WSYA: Andando in the category Go Green, Pedosa in the category Digital Generation, egiBU in Education for All and Picture Word in Fighting Poverty, Hunger and Disease. 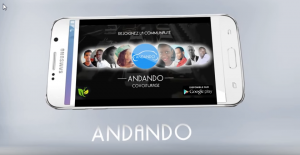 Andando carpooling offers a concrete solution to the problem of excessive emissions of greenhouse gases by helping reduce the number of cars on the roads. Besides its ecological impact, carpooling with Andando helps you make substantial savings by sharing your travel spending with other users. The application works in real time and allows carpooling on all types of trips: from home to work. 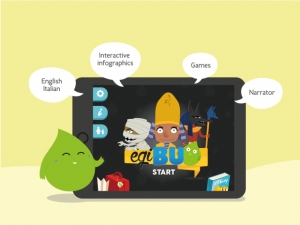 egiBU is an educational game where the protagonist is an explorer that supports children discovering one of the most mysterious and fascinating civilization in history: the Egyptians. Guided by the narrator voice children have to complete levels in the game with increasing difficulty. For example, in the first level, they have to tap on the screen in order to make the Nile overflow, then to spread the Nile silt to fertilize the desert and, at the end, they have to cut the papyrus to see how the Egyptians used it. In this way, they don’t have to watch and listen to explanations because they are the protagonists of the story. 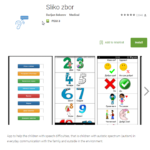 Sliko zbor (Picture Word) is a mobile application that helps people, mainly children with autism, autistic specter of disorders and speech problems in their everyday communications. It is accepted by defectologists, speech therapists and organizations for people with disabilities. It can be used in the classes in the special schools where children with speech problems and autism learn. To use this program, you choose the desired group of activities and you pick and press on one of the categories. The phone broadcasts audio (speech) that describes the activity and the picture. Its very easy to use, and is available for FREE on the Play Store. The application is divided in eight groups: Game and fun, Conversation, Weather, Clothes and Shoes, Numbers, Shapes, Wild Animals and Domestic Animals. The first group describes actions that are related to games and fun, such as walking (in a park), listening to music or watching TV. The second group contains different expressions and phrases used in conversations, for example hello, good morning, congratulations etc. The third group describes the weather conditions. The fourth group is about clothes and shoes. The fifth group is dedicated for numbers and currency. The sixth group is about the shapes, the seventh for the wild animals and the last eighth is for the domestic animals. This way the communication between the children with autism and their parents and/or teachers is easier, the children can express their needs and the parents can understand them. The World Summit Youth Award (WSYA) as a unique global competition is being organized ever since 2005, and it truly brings together young developers and digital entrepreneurs – under 30 years of age – who use internet and mobile technology to put the UN Millennium Development Goals (MDGs) into action and make a difference. The WSYA selects and promotes best practice in e-Content/ m-Content. It demonstrates young people’s potential to create outstanding digital contents and serves as a platform for people from all UN and UNESCO member states. WSYA winners have the unique opportunity to enter an international high-energy networking event where all winners have the opportunity to present their projects on a world stage. Further on, be able to exchange ideas with their peers from all over the world, and, network with renowned experts in the field of ICT for development. 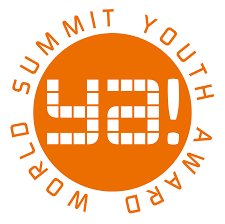 Moreover, coming to the WSYA and winning it, allows young social entrepreneurs to become part of an international network of young dynamic people, leaders of the ICT industry, academics, governmental organizations and members of the civil society. The WSYA Team is also organized by the International Centre for New Media (ICNM), situated in Salzburg, and tne Austrian partner for mYouth. On a global scale the ICNM has initiated and is organising in 168 countries within the UN framework of the World Summit on the Information Society WSIS, the “World Summit Award”. The World Summit Award is an on-going activity since 2003 in cooperation with UNIDO, UNESCO, ITU, ISOC, UN GAID and UNDP. The “World Summit Award Mobile” has been launched in 2010.